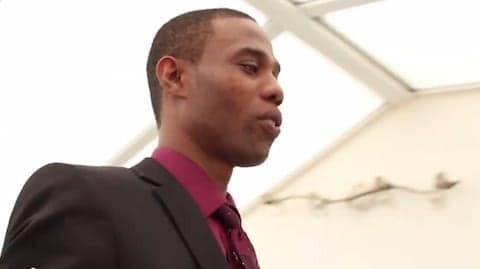 Orashia Edwards, a bisexual Jamaican man who says he faces danger in his native country because of his sexuality, learned on Tuesday that he will not be deported from the U.K.
Homophobia remains a major issue in Jamaican society. The case for a judicial review of Home Secretary Theresa May's decision was thrown out by a judge in Leeds. In his written judgement, Judge Clive Heaton QC said that Edwards was being dishonest about his sexuality. According to Pink News, Edwards has been living in the U.K. for four years along with the rest of his family. He has a one-year-old daughter. Mr Edwards has not been in Jamaica for 14 years. "This is my home, I feel safe here, my family and friends are here. I can't go back to Jamaica." All claims of bias in asylum applications have been denied by the government. Edwards learned Tuesday that he will now not be deported from the U.K. A spokesperson from the Home Office refused to comment on the change in its decision. Edwards is today in court submitting new evidence. Filed Under: Human Rights Campaign, Jamaica, News Tagged With: asylum, Asylum, BBC, bisexual, Bisexual, Britain, England, European Union, Great Britain, Home Secretary, Human Rights Campaign, Jamaica, law, Law - Gay, LGBT, Law Enforcement, Leeds, News, Orashia Edwards, Theresa May, U.K.